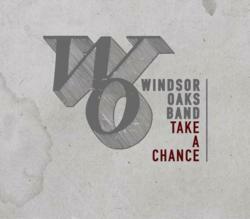 Alternative rockers, Windsor Oaks Band, announces the release of their sophomore album, Take a Chance available today at iTunes and major digital retailers. Produced by Steven Haigler (Pixies, Fuel, Brand New, Clutch) at VuDu Studios in New York, the album is sure to appeal to fans of Kings of Leon, Foo Fighters and Weezer. The Raleigh-based band has been writing, recording and touring all over the East Coast for over three years. With the help of college radio spins and a growing online presence, Windsor Oaks Band has cemented their status as one of North Carolinas most promising up-and-comers. Shane Smith (lead vocals/guitar) and Alex Shepherd (drums) grew up in Cary, North Carolina in a neighborhood known as Windsor Oaks. When they partnered with Brandon Scott McLean (guitar/vocals) to form a band, the name was born. We wanted to pay tribute to where it all started, says Smith of the band name. But after years of touring, were excited about the new album and were ready to extend our fanbase nationwide. The band celebrated the release with a sold-out concert for fans on March 1st at Pour House in Raleigh. They have also just released a music video (http://www.youtube.com/watch?v=NYNj5_ikuFA&feature=youtu.be) for Touch the Sky. For more information, visit http://www.WindsorOaksBand.com.